There will be a free class on the basics of goat health, nutrition and disease on Wednesday, February 13, 2019 at 6:30pm at the Franklin County Extension Office. Please see details below or follow this link. The 2019 Licking County 4-H Goat Royalty applications are now available on our website. Applications are due to the address listed on the application by Wednesday, May 1, 2019 with the contest being held Tuesday, May 21, 2019 at 6:30pm at the Licking County Extension Office. The 2019 Dairy Foods Contest will be held on Thursday, June 20, 2019 at 6:30pm at the Licking County Aging Program’s Heritage Hall. The contest is open to all 4-H members. Lisa McCutcheon has been recognized by The Ohio State University Extension for her outstanding contribution to the Extension 4-H Youth Development program area. 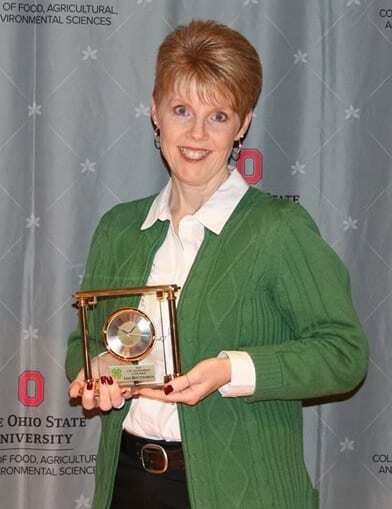 Lisa received the Excellence in 4-H Award on January 24, 2019 during the Ohio State University Extension Annual Conference. This award honors superior accomplishments by an Extension Educator in developing dynamic, innovative, broad-based 4-H educational programs. The award, funded through the Charles W. Lifer Excellence in 4-H Fund, is dedicated to the recognition of outstanding professionals who serve as examples in setting standards of excellence in ten major areas of the County 4-H program. The entry form for the 2019 Cloverbud Pledge event, Demonstration Contests, and Health & Safety Speaking Contests is now available. 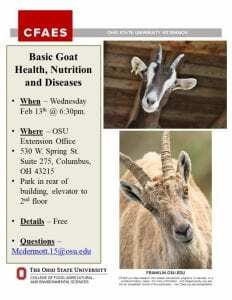 Entry forms are due the Licking County Extension Office by Friday, May 31, 2019.